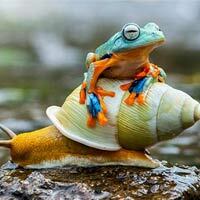 A frog enjoys life in the slow lane as he hitches a ride on the back of a snail’s shell in Jakarta, Indonesia. 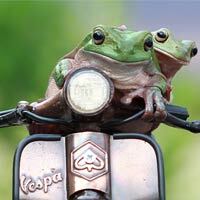 Also see how a frog riding a beetle like a cowboy for five minutes, even it tried to fly away. 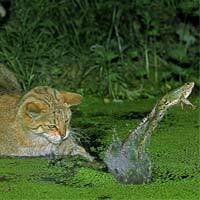 A wildcat approaches a pond to try and catch a frog for lunch – but is out of luck as it hops away in the nick of time. 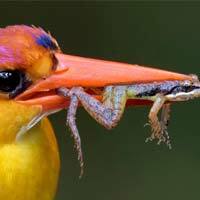 The picture was taken at a pond in Orbec in Normandy, France, by photographer Gerard Lacz, 65.